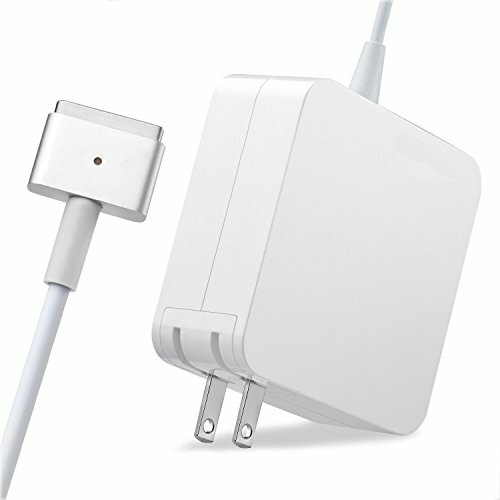 - 1.This is the second generation of magsafe power adapter, not the first generation. -2.It is better not use it in a thundery sky. -3.Put it at a dry and cold place when charging. -4.Do not use another charger with different voltage and power for replacement. -5.Do not connect the charger when you do not charge your laptop. It will reduce the life of the charger. -6.When the connection is secure, an LED located at the head of the DC connector lights up; a red light lets you know that your notebook is charging, while a green light tells you that you have a full charge. If you have any questions about this product by SODYSNAY, contact us by completing and submitting the form below. If you are looking for a specif part number, please include it with your message.